This New Moon cycle holds so much potential for new growth! The new moon on the 4th of February takes place in the sign of Aquarius. Aquarius is an optimistic and open minded sign that is sure to bring a breath of fresh air into our lives. This might be the change you’ve been looking for. The Sun, Moon and Mercury are sextile Jupiter which brings in an even greater sense of optimism and positive thinking, making this month feel like a lucky one! There is potential for you to find the solutions to the problems you’ve been looking for if you remain open minded and focused throughout the month. This is a great time to prepare the metaphorical soil for the things you want to create! The planetary aspects this month lend us both clear and creative visionary thinking. You might even start seeing some tangible results. Each month we use the the 4 turnings of the moon, astrology and our Spirit de la Lune deck to create the New Moon Energy Reading! So grab a cup of coffee and keep scrolling to see what this New Moon Cycle has in store for you! The new moon sextile Jupiter is what adds to that sense of hope and happiness. The Aquarius new moon helps us visualize what we want in a clear way, and because Mercury is also sextile Jupiter, we are able to communicate our desires and ideas in a clear way. This positive thinking helps our decision making skills, and when we are looking for opportunities, we will find them and make the right decisions. This all really helps us bring our focus into building something new! The card pulled for this week is Rest. What do you need to put to rest in order to bring in the growth you are wanting? While we might be feeling a sense of new energy with this new moon, rest is an important aspect when it comes to growth. Be sure that you yourself are getting the rest that you need. Take time to “unplug” before bed. Reducing the amount of screen time or “blue light” before bed for an hour or more can help your natural circadian rhythms get back to normal and give you restful sleep with insightful dreams. Try candles beside your bed instead of a bright lamp to see how it affects your quality of rest. The First Quarter Moon takes place in Taurus on the 12th of February. During the waxing phase, the moon grows brighter in the sky each night. The waxing phase holds the element of fire, and like the moon our own energy and passion burn brighter and brighter with each day. 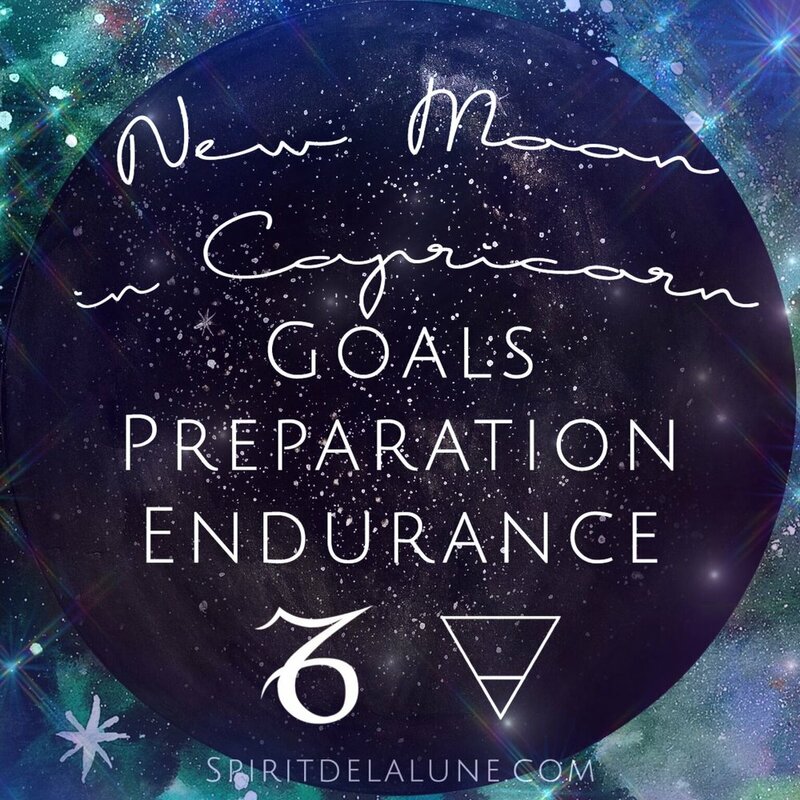 Now is the time to put your New Moon intentions and goals into action! Create your to-do list and then be ready to tackle it. This week looks like it will be productive! Being an earth sign, the Moon in Taurus puts a spotlight on your physical surroundings and the desire to see tangible results. In order for a seed to grow, the soil must be prepared properly. It’s an important time to maintain or create the physical atmosphere that supports the growth and change you are wanting to plant. This is a great time to complete things around the house, water your houseplants, or begin a garden. We might even feel a pull to complete those physical or laborious tasks we’ve been putting off. The card pulled for this phase is Manifest, a sure sign that your results are on their way! Take a look at what you are manifesting right now. Remember that your thoughts are things, and they are often the first part of any manifestation. Be aware and in control of your own thoughts and emotions this week if you are having trouble seeing the manifestations you are looking for! The Full Moon in Virgo on the 19th of February is a Supermoon! This means the Moon is larger in the sky, and the emotional and intuitive effects are heightened! Virgo is the healer and paired with this Full Supermoon brings our awareness to our physical bodies. It’s important to remember that our bodies are extra sensitive when the moon is in Virgo. It might be wise to stay away from tons of junk food or other low-grade foods and vegetables during this lunar transit. But, this makes for a great time to begin new routines, work out habits, diets or other life style changes you’ve been meaning to begin! The Moon in Virgo also amplifies our attention to detail. You might feel prone to criticism or cynicism... Try to not get caught up in this and instead focus on listing your blessings! Switching your mindset to gratitude will help you plant the seeds you for the future! This full moon also a great time to organize and really clear out any of the old negative energy that remains. Now is the time to begin to create those new habits that you’ve always been meaning to! The moon supports you! The card pulled for this phase is Surrender. What do you need to surrender in order to create change in your life? If you aren’t seeing the results you are wanting to… reflect on the parts of your life you want to leave in the past. What are you holding onto? What do you need to weed out in order to support your new growth? Alternatively, it might be time for you to release and put to rest something you’ve been mentally struggling with. Sometimes “letting go” and surrendering IS the next step. Only then will you be able to see clearly. When we accept the present moment we are able to see clearly again free from resistance and anxiety. It is then that we can see the next steps forward. The Last Quarter Moon takes place in Sagittarius on the 26th of February ending this cycle in another optimistic and positive sign. As the moon wanes in the sky, our own energy is called back in for reflection and rejuvenation. This a week for tying up loose ends and finishing up the things you started during the last New Moon. This is a great time for making plans and goals that you don’t need to act on quite yet. Take this time to plan ahead and make some long term plans. There may not be much you can physically do about it at this time, but keeping yourself focused on long term goals and pouring your positive energy and optimism into those plans can be more powerful than you know! The card pulled for this phase is Guidance. Trust in the process right now and most importantly, trust in yourself. Take time out for meditation this week and tune in to your higher self. You have an inner guidance system that knows and understands more than you realize, and you are sharpening your intuition and remembering more each day that you tune into your inner guru. Trust that the teachers you need will find you when you are ready, and understand that some of your answers already lie within. Don’t forget to utilize your Tune to the Moon Planner this month! We are SO excited that all of the planners have been shipped and all orders are caught up. Shipping dates are now 2-5 days for planners too. These planners are PACKED full of magick & ritual, and because of that, they are pretty heavy. This means they may take a few extra days to get to you! Please be patient! We are doing the best we can as a two woman team juggling full time jobs, self employment and motherhood… we really appreciate and need your understanding and love when things get rough. We created Spirit de la Lune in the spirit of sisterhood and empathy since those traits are so badly needed in this day and age, sometimes we too need that spirit of understanding and compassion shown to us. Blessed New Moon and Imbolc! Don’t forget to set your intentions and cleanse your deck and crystals under this New Moon! Be sure to check back here during the Full Moon for the Full Moon Ritual honoring the Seed Moon! Happy Solar Eclipse and New Moon in Capricorn! This is the first official complete moon cycle of 2019 and all the cards we pulled for this cycle are the Full Moondala cards carrying really big energy! This just affirms that THIS IS THE CYCLE to help us set the whole foundation of 2019 and by doing so we will create ripples through the months to come! So grab a cup of tea, and your journal and pen! It is time to create the life you have always dreamed of in 2019! The the Solar Eclipse is a highly-charged New Moon when the Moon is in exact alignment with the Sun, the Sun is illuminating and supporting the New Moon... So whatever intentions you set tonight be very clear and focused with them (think capturing the light of the sun in a magnifying glass) and the Capricorn energy will definitely help with this. This New Moon is great for setting intentions for career, money, security, and building a foundation you can live and thrive on so keep this in mind when you set your intentions. We pulled the moondala: Flower Moon, which means whatever your goals are, you have all the resources you need to fully bloom and embody this dream. So don't be afraid to be very specific! Capricorn is very strategizing and and really wants to set you up for success. Uranus goes direct on January 6th, so expect the unexpected. This means be bold and take action this moon cycle... whatever ideas that have been brewing and swirling around in your head since August 2018, as crazy as they may seem, now is the time to act upon them. Also don't be surprised if any weird, unexpected events or circumstances present themselves to you... it's all a part of the bigger picture. The the First Quarter is always the ignition for the moon cycle... And with the First Quarter being in Aries, the Inspirer, Aries is a natural ignitor of energy, vitality, inspiration, and fire. Focus energy into your creative projects and your goals and you will see your hard work pay off and abundance will flow. The moondala pulled for this week was the Corn Moon... all about growth, harvest, and abundance. It can all be yours if you allow yourself to receive it. Keep your heart open and keep your thoughts focusing on your creativity, your intuition, and the magick you are creating, and the universe will meet you halfway. No time for lack! With all that being said, Jupiter squares Neptune on the First Quarter Moon as well... so do not make any hasty decisions or actions which Aries energy is prone to do. Something may feel too good to be true, so trust your instincts and take time to evaluate before you make a big decision. The Total Lunar Eclipse in Leo is a beautiful Full Moon you do not want to miss. With all the cosmic energy aligning with Earth, Lunar Eclipses are all about embodiment… embodying these cosmic energies through our own bodies with grace and ease. With this energy centered around Leo (the Queen or King of the zodiac), it is time to embrace and reclaim our own birthright of power, influence, and sovereignty. In numerology, 2019 is distilled into 12 and 3… the Hanged Man and the Empress. Surrender to embody your magick and power. Reclaim your abundance on Earth.. it s your birth right. You are a fertile, magickal, abundant being and you are meant to do great work! The moondala pulled is the Super Moon, which this Full Moon is a Super moon as well! It is time to remember what you already know deep within you. Get back to the basics too… what is it you really love and want to do in the world? What do you want to embody and stand for? What would it be like to step into your power, wear your crown, and be the King/Queen you are meant to be? This may sound daunting, but remember this Moon Cycle may be the most important Moon Cycle you to focus on in 2019… everything else will begin to flow once you settle into your new foundations and begin to truly thrive! Stay tuned for a Full Moon ceremony where we will teach you how to create your own loose incense for the Sage Moon and embody your power for 2019! The Last Quarter brings us into Scorpio energy... dark, mysterious, magickal. Scorpio energy can also lead us in Shadow work… where we can fully release the power and control our fears and doubts have over us. And with the moondala, Blood Moon, pulled it is time to let go and shed. You may have felt so aligned and bold and assertive and peaked at the Full Moon, and now maybe your energy is crashing… this can happen and know it is perfectly natural. Like high tide and low tide, the currents are here to guide you, no matter how low you may feel. The Last Quarter energy is here to show you where you can release and let go to fully embrace the new goals and intentions you set for 2019. Write down your fears, resistance, and doubts moving into 2019, and release them in a ceremony. You could burn them in your cauldron, literally flush them down the toilet, bury them in the earth, or throw them in the trash! The physical act of releasing is what is needed, and when you do this with intention, humbleness, and standing in your truth, you can really move forward into the 2019 you want to invoke. We hope you enjoyed this reading and we hope it inspires you to make 2019 your best year yet! Don’t forget to set out your cards and crystals under the Solar Eclipse tonight! Now cozy up with a warm blanket, light the fire, and with a hot cocoa in your hand keep reading our moonthly energy report! The New Moon in Sagittarius, (sign of the Archer) keeps spirits bright and reminds you to focus on the joy and happiness in your life. You can also finally sigh with relief that Mercury goes direct this day! And with Jupiter, the ruler of Sagittarius actually being in the constellation of Sagittarius, everyone gets a confidence boost moving forward. It is no wonder the card pulled for this New Moon is courage. Let this be a reminder to make your courageous moves now. Do not hesitate or doubt yourself anymore. While writing your New Moon intentions dream BIG and have courage to shoot your arrows high to the stars! What are your dreams for 2019 and beyond? Do not procrastinate or let the energy settle and stagnate in your body... You will most likely get sick that way! The Full Moon in Cancer is the day after the Winter Solstice, or Yule, on December 21st. The Full Moon illuminates the darkest day of the year and is a special day to tap into to your unique light and how it illuminates in the world. Stay tuned for our Full Moon blog post where we will share a light ceremony in honor of this auspicious day. The Cancer energy of the Wolf Moon will most likely have you seeking the solace of your home and staying close to your loved ones. Reach out to that person who is on your mind and let them know you care... Most likely they need to hear from you right now. The card pulled for the Full Moon, is the Sage Moon card: Purify. If you are having guests over for the holidays, this would be a great time to focus on your home and cleanse it and align it with the seasonal energies. Make your home extra cozy, with candles, blankets, decorations... And don't forget to trim the tree! These actions will keep the warm embers of your heart aglow and you will feel more peaceful with a cozy and clean environment. The last days of 2018 are at the end of this moon cycle, meaning a good reflection is in order to properly close and honor this year and prepare for the next. Libra's energy will keep you focused on what needs balance in your life as you move into the new year. What was harmonious in 2018 for you? What threw you off balance in 2018? What energy do you want to invoke and embody in 2019? The card pulled for this phase is Envision. Really open your third-eye and visualize your life and how you want it to Flow in 2019. You can moonifest it! Embody your light and magick and everything else will flow. We hope your solstice and holiday season is merry and bright! Don’t forget to cleanse your decks and crystals under the new moon tonight, and be sure to set an intention for the moonth ahead. Our 2019 Tune to the Moon Planner is currently in production!! We are just as excited to get our hands on it as you are! If you have purchased it already, your confirmation email is the PayPal confirmation you received. We will let everyone know as soon as we receive the planners and begin shipping! We still do not have a set date, but we are hoping to get them in your hands before the next moon cycle begins! Happy New Moon in Scorpio! This will take a lot of pressure off of our relationships, as we are able to see things a bit clearer with the balancing help of Libra. Just as Venus goes direct, Mercury goes retrograde in the fiery sign of Sagittarius on the 17th of November. Mercury Retrograde is nothing to worry about, it can be a great time for reflection and planning for this month. This month looks like it can bring a lot of major breakthroughs and provide the ending of old cycles if seen with awareness! So, brew a cup of warm coffee or tea and read on to see what this New Moon Cycle has instore for you! Each New Moon, we take a look at the Lunar Cycle ahead and pull a card from the Spirit de la lune deck to create our Moonthly Energy Report. This New Moon is a time of powerful and intense emotions! New Moons are about new beginnings and starting fresh. Where do you need a fresh start in your life? You have the answers within you, but it’s your emotions that will show you the answers the right now. It’s very important to feel your emotions and try to understand what they are trying to teach you. Which can be hard, because everything just feels so intense right now. Being election time and with such high stakes, it’s very important for us to remember that we are empaths. And as empaths we are most likely feeling into the hearts and emotions of others, and especially our fellow empaths. Practice repeating “Not mine!” in your head if you feel an intense or unknown emotion come up and you can’t tell if it’s yours. If the emotion is yours, it will stick around for you to heal and process. If not, recognizing that it’s not yours shines a light on it and “casts it out” for you. If you still aren’t sure, burn some sage, or spend time meditating. The card pulled for this week is Waxing Crescent: Awareness. There is an important lesson for us each to learn this month. Let your emotions teach you something. Listen to them, journal them, observe them. It’s very important to not run from your feelings. Practice listening to your emotions, and see if you can find the lesson you are needing to learn. Trace your emotion back to its root, and ask yourself how you can heal it from your new perspective. Create a New Moon intention around what you find. The First Quarter Moon takes place in the sign of Aquarius on the 15th of November. Aquarius is the sign of the water-bearer. Because of this, it is often confused to be a water sign, but in ancient times, she was known as the knowledge-bearer. When the First Quarter Moon is in Aquarius we ourselves feel a greater thirst for knowledge and answer seeking. As the moon grows in the sky you might feel your desire for learning or reading increase. The card pulled for this week is Waxing Crescent: Transform. What greater way to transform yourself than by learning something new. Use this First Quarter Moon in Aquarius to do just that. Spirit answers in mysterious ways. Answers or truths you’ve been needing may be tucked away in the passage of a book, or in an online article you accidentally stumble on. Listen to a TED talk, or find a new youtube channel that peaks your interest. Follow your curiosity and allow it to transform you! Mercury goes retrograde on the 17th. Mercury is the planet of communication, and intellect. When it goes retrograde, it it ends up spending extra time in a certain sign. Mercury is wanting us to take our extra time too. Mercury always emphasizes something in our life when it goes retrograde. So be aware. This time the retrograde takes place in Sagittarius. Fire signs typically have to do with our creative ventures, projects and our passions. So instead of being overly eager to mark anything as “done” double check your work first. There may be something you are missing. The Full Moon in Taurus takes place on the 22nd of November, just as the colder weather begins to set in for much of the Northern Hemisphere. Storms and winds are more likely a few days before and after the New and Full Moons, so this Full Moon will bring colder winds to many of us in experiencing the autumn season. Full Moons are also a time of completion and fulfillment. Sometimes they mark a harvest, or a reason to celebrate and gather with friends. But sometimes they can mark the completion of a personal cycle, or a lesson learned that is all our own. Insights will be available at this time that can help you overcome your obstacles. This Full Moon is in the Loving sign of Taurus and the card pulled for this phase is Waxing Gibbous: Surrender. We are being asked to surrender to the lessons we’ve learned and finally let go. Use this Full Moon to truly let go of what’s been holding you back. Don’t forget to check back for the Full Moon for our Full Moon Ritaul! The Last Quarter Moon takes place in the signs of both Leo and Virgo (depending on location and time) on the 29th of November. The Last Quarter Moon marks the turning point in the month where we feel our own energy wind back down a bit as we prepare for the New Moon once again. This is a time for release and in many ways self care is needed for that to happen. Take this week to reflect and ground your energy. A lot has been going on this month. The Waning Cycle and Virgo are both Earth elements, asking us to take a break from all of these intense emotions we have been going through. The card pulled for this phase is the Crone Moon: Deep Wisdom, reminding us that the veil is still thin and our ancestors and Spirit are near. Ground, meditate and prepare. November is a harbinger of transformation. By the end of it, you truly might feel like bundling up and hibernating for a bit. Give yourself the time and space to nurture your body and soul as we embark into the darker colder months. Enjoy the season of transformation. Happy New Moon! Don’t forget to charge your decks and crystals tonight under the New Moon. Make an intention and set it on your altar under this Powerful night! Happy Solar Eclipse in Leo! Our last eclipse of 2018 is trailing the Lionsgate activation on 8/8/18. There is so much cosmic energy in the air and swirling around us... if you feel scattered, or your energy feels flighty, drained, or you are just downright frazzled... you are not alone! The collective energy is experiencing big shifts, surprises, and changes are still up ahead! Read more below about how you can anchor these energies into your daily life, while navigating this new terrain. The New Moon in Leo can bring a fiery, playful energy into your life. Leo is the King/Queen of the jungle... so you are most likely feeling a lot of energy in your Crown chakra... with so much energy coming down from the Heavens, your Crown is super activated and probably over-stimulated. Bring this energy back down to Earth. It is not surprising that we pulled the last moon phase card, Waning Crescent: BE. To navigate these big energies, you need to be anchored in your body and feel grounded and safe to move forward. Focus all this fiery energy of Leo into your body and practice self-care this New Moon. Go outside and place your barefeet on the ground. Feel the Earth's energy support you and feel her energy move into your body. This is called Earthing. Lay down on the Earth and let her fully support you! You will soak in the negative ions from the soil and you will feel more connected to the core of who you are once again. A salt bath is also a wonderful way to nourish and ground your body. Use at least 2-3 cups of epsom salt and sea salt in your bath tub to really get all the benefits. And relax and soak for at least 20-30 minutes. Water is so purifying and healing and can cool down the fiery, activated energy of the Crown. If you do not have a tub, just soak your feel using a bowl and 1/2 cup of salts. You will feel more grounded and settled in your body to integrate the bigger collective energies of the cosmos! The First Quarter in Sagittarius adds another layer of the fiery energy from the New Moon, but Sagittarius brings inspired action. If you have kept grounded and have listened to and have nourished your body throughout the eclipse portal, you may feel inspired to do more and have the energy to do so. Mercury moves direct today, so this refreshing energy can leave you feeling more inspired and more impulsive! However, the card pulled for this week is Waxing Crescent: Awareness. Check-in with your motives. First Quarter's are always good times to check-in with yourself (aka, check yourself before you wreck yourself!) and see where your energy is aligned. If your actions are truly inspired and aligned with your values... then go for it! Aim your bow high and shoot for the stars! If your actions are stemming from boredom, restlessness, a need to compete or get even... do not move forward yet! You need to get to the root as to why you are feeling this way. Check in with your body, once again. Get grounded. Focus this energy into healthy activities and you will fall back into alignment once again. Yes the Harvest Moon is early this year! We follow the moon, not the man-made calendar. Remember when we had 2 Full moon's in January, and 2 Full Moon's in March? That meant there was no Full Moon for February. This makes the names of the Full Moon's feel early to those who follow only the Gregorian, 12-month calendar. Spirit de la Lune honors the 13 Full Moons of the year. A Full Moon in Pisces is watery, dreamy, romantic, and sensitive. Again, a lot of the Higher chakras are being activated, and it is particularly important for Pisces energy to be grounded, and to feel safe and protected. You may feel more psychic and tune in easily to everyone's energy and emotions around you. Remember you do not need to hold this energy for anyone. And if you are feeling highly emotional, ask yourself... Are these emotions actually my own? The card pulled for the Harvest Moon is Waning Crescent: Support. Let go of pride and remember to ask for support when you need it. To feel grounded and supported, you may need to lay low this Full Moon and create a sanctuary for yourself to cocoon into. Create an ambiance that is soothing to you with pillows, candles, aromatherapy, another salt bath is always yummy under a Pisces full moon. Let yourself get swept away in romantic movies, or get yourself a good book to get lost in. Ask your loved ones to give you this time to just relax and with no obligations. You will come back to the world feeling rejuvenated and refreshed. The day after the Full Moon, 8/27/18, Mars moves direct and any resistance you may have been feeling will melt away and you can move forward with more peace of mind. Now that you feel renewed from the Full Moon, the Last Quarter in Gemini sweeps in with a refreshing energy and you may get some unexpected news or the changes you have been anticipating are upon you. But you feel more grounded and more empowered to take them on. Interestingly enough, the card pulled for this week is the Waxing Gibbous: Movement. If you have been making self-care a priority, you have channeled all the extra energy around you and can now move forward with confidence! Make your to-do list and stay on track with your priorities and move with inspired action once again. You will move into the next Moon cycle with your Crown held high, yet grounded in your body. This is an exciting time, so ebmbrace it wholeheartedly and move forward with your heart courageously open to the new chapter ahead! 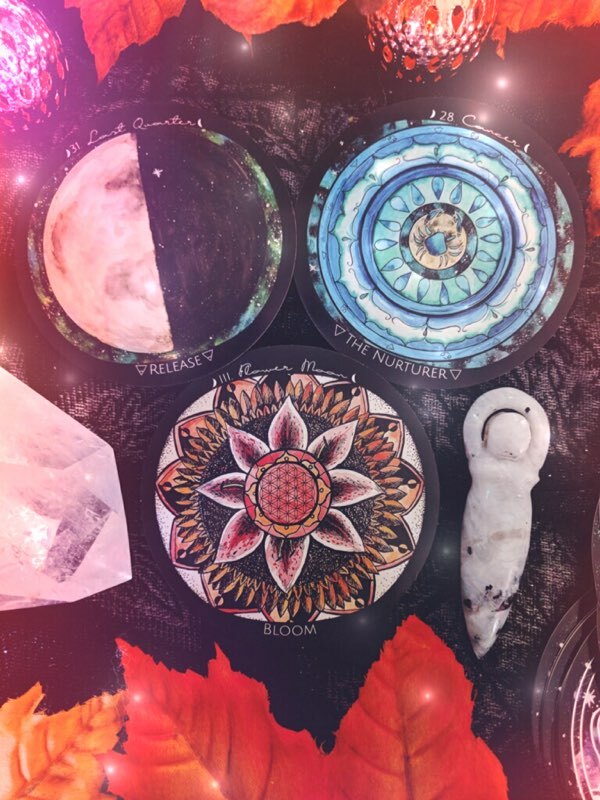 Tune to the Moon Planner Giveaway Winner will be announced 8/11/18! We are currently in the process of planning and designing our 2019 planner... There is still time to take our quick survey and enter to win!